AMSTERDAM, SEPTEMBER 7, 2012 — RTW (IBC Stand 8.E76), a leading vendor of visual audio meters for professional broadcast, production, post production and quality control, is pleased to announce the recent sale of 100 TouchMonitor TM3 units to Cologne Broadcasting Center (CBC), a television production and broadcasting company with offices in Cologne, Munich and Berlin. 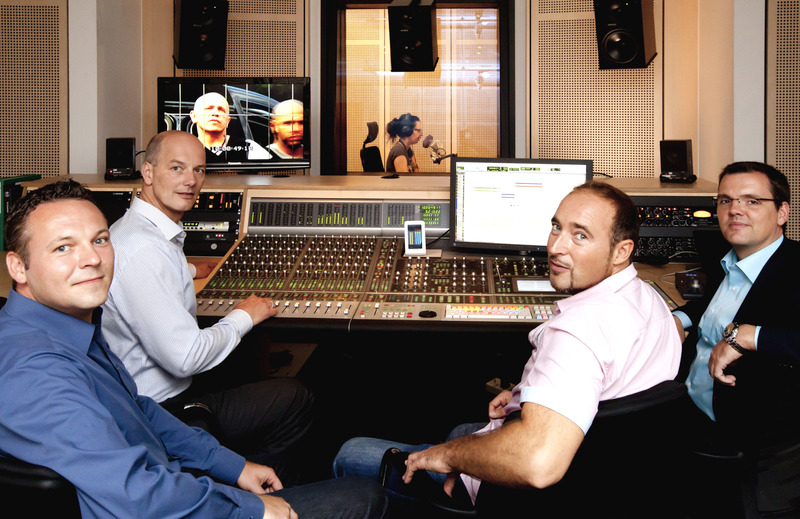 CBC purchased the TM3s to help meet the German government’s upcoming loudness requirements for TV shows. Schmitronic, a Cologne-based expert provider of professional audio components, supplied the units, which CBC has already begun to install. The RTW TouchMonitor TM3 enables quick and easy loudness metering. The system comprises a display unit featuring a 4.3-inch touch screen for horizontal or vertical use and a separate interface box. The easy-to-learn operating concept allows for fast selection of presets that are configured using RTW’s Devicer DC1 software, which is available for Macintosh and Windows. In addition to PPM and true-peak instruments, the TM3 offers comprehensive loudness metering in compliance with all globally relevant standards, including EBU R128, ITU BS.1770-2/1771, ATSC A/85 and ARIB. Instruments include single-channel and summing bar graphs, loudness range and numerical displays. The TM3 stereo version handles analog and digital audio; in addition, the TM3-6CH version also supports six-channel digital input. An upgrade option for stereo units is available. Established in 1994, CBC quickly became a leader in the German TV production and broadcast industry. Its offices in Cologne, Munich and Berlin serve numerous stations, including RTL, VOX, Super RTL, RTL II, n-tv, RTL NITRO, RTL Crime, RTL Living and Passion, plus various TV production companies. CBC provides extensive services to broadcasting companies and producers, meeting the most diverse production requirements. For outdoor productions, CBC offers SNG vehicles located in Berlin, Cologne, Munich and Moscow. Post-production facilities include 70 editing suites, graphics-editing workplaces and audio suites. CBC is a member of the RTL Deutschland Group. For more than 45 years, Cologne-based RTW has accompanied the steady technological progress in the professional audio industry with innovative instruments and technologies for visual audio monitoring in broadcast, production, post-production and quality control. Its state-of-the-art audio and loudness metering systems have an excellent reputation throughout the world. With ground-breaking products such as the Surround Sound Analyzer, the company has been a key vendor of professional broadcast and audio metering equipment for decades.